Have you ever had a comic cancel, and wondered if they were to publish and asked if it had been canceled? 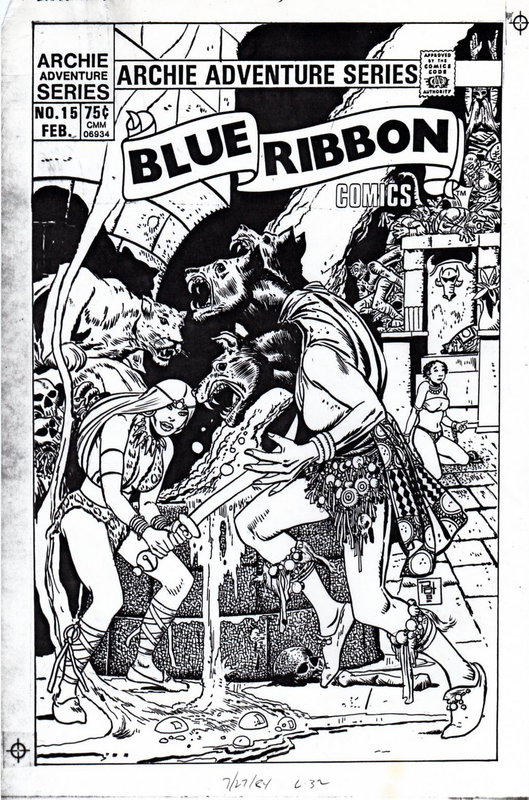 30 years ago I was reading Archie Comics’ Blue Ribbon Comics and the series was canceled with issue 14. It was an anthology series It is your 15 was supposed to feature Cat Girl, but it was never published. Suddenly, 30 years later it’s on Kickstarter! Paul Kupperberg: This story is from 1984, right after I had done my first writing for Archie Comics on, of all things, a promotional comic book for Radio Shack’s TRS-80 personal computer. When DC Comics had the license with Radio Shack, I’d written the last of the three or four comics they’d done—starring Alec and Shanna, the “TRS-80 Computer Whiz Kids—guest-starring with Superman and Wonder Woman, so when Archie picked up the license, they called me to write the comic for them. 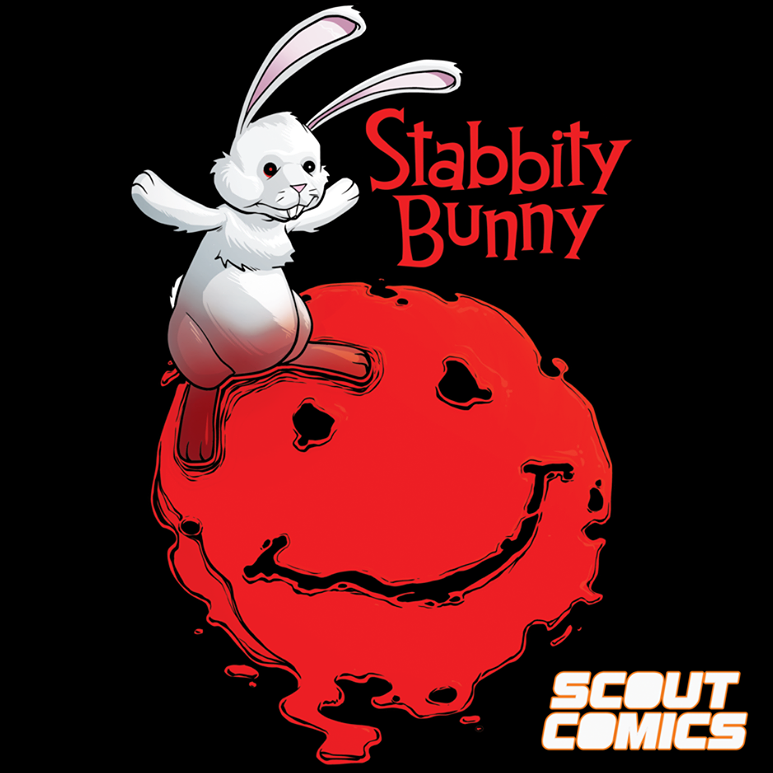 ​I worked with editor Victor Gorelick on the Radio Shack comic, and while I was doing business with them anyway, I talked to him about me writing some stuff for their “Archie Adventure Series” line, their 1980s superhero resurrection which was then in its first year or so of being up and running. They wanted to revive and revise an old villain from the 1960s The Fly title (#9, November 1960), “Cat Girl,” a kind of over-the-top member of PETA out to defend animal rights against humans. 1st: What was your prior knowledge about Cat Girl? Paul: Pretty much zippo. Like I said, she was a minor villain in a third-tier superhero title that I’m pretty sure I read at some point in my fan/collector years if the 1960s and early-1970s, but she didn’t stand out as a character. 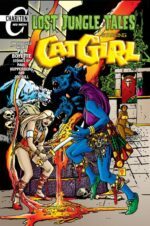 1st: How was your take on Cat Girl different from the prior version? Paul: I think we pretty much rewrote the character from the ground up, keeping only the name. 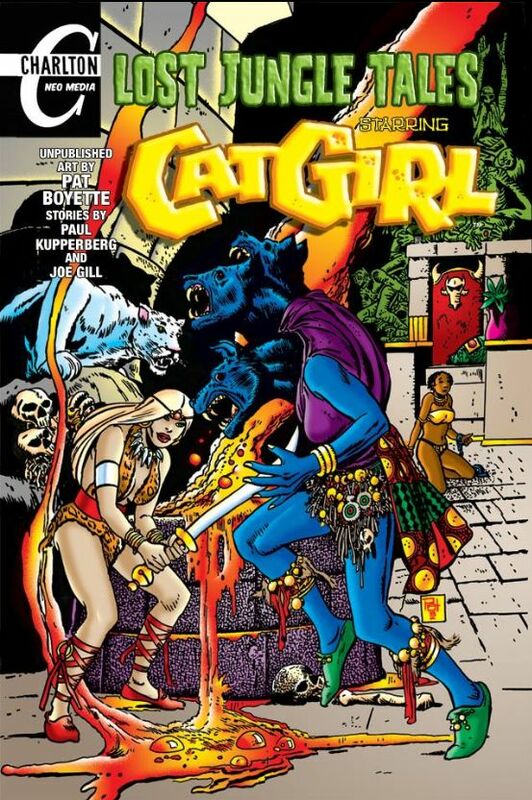 Cat Girl was originally Lydia Fellin, a militant animal rights warrior; the Cat Girl we wound up with is an immortal jungle goddess with a large dose of supernatural thrown in. 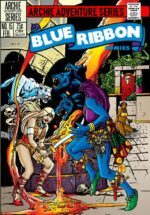 1st: Why wasn’t Blue Ribbon Comics #15 published? ​Paul: Sales. Or lack thereof, I assume. The Archie Adventure line never really found its footing, despite some truly awesome work by the best talents of the day, including Neal Adams, Alex Toth, Steve Ditko, Gray Morrow, Rich Buckler, and others. 1st: What happened to the art when the comic wasn’t published? 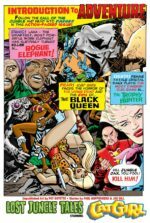 ​Paul: I don’t know what happened to the physical art itself—I hope it was eventually returned to Pat Boyette—but I’d been given a set of 64% reduced black and white Xeroxes of the penciled, lettered, and inked cover and story at the time it was drawn. I kept the copies in my files, and at some point, I made low-rez scans of them so I could share some of the art online. 1st: What made you hang on to the art for 30 years? ​Paul: I’m a bit of a packrat when it comes to stuff like this. I’ve kept black and white Xeroxes of published stories for decades, so the unpublished scripts and stories (of which I have quite a few after 44 years writing comic books) were a no-brainer. I recently packed to move after ten years in my apartment, and I couldn’t believe the stuff I was finding buried in boxes or in stacks of paper. I went on a big scanning binge, reducing several hundred pounds of paper to weightless megabytes of data that are a lot easier to schlep around through life. 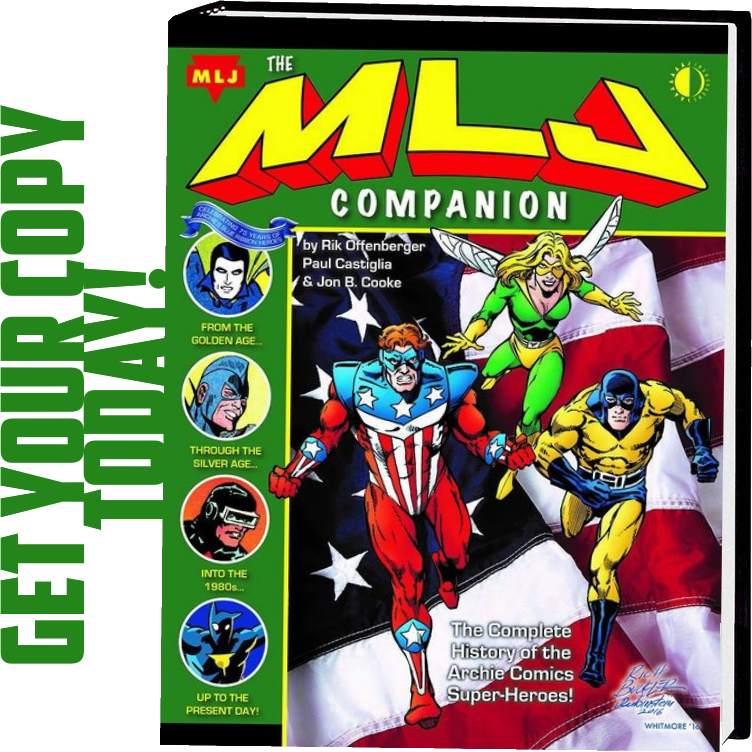 1st: After 30 years what made you decide now was the right time to publish the comic? ​IPaul: finally had a comic book company to publish it through! 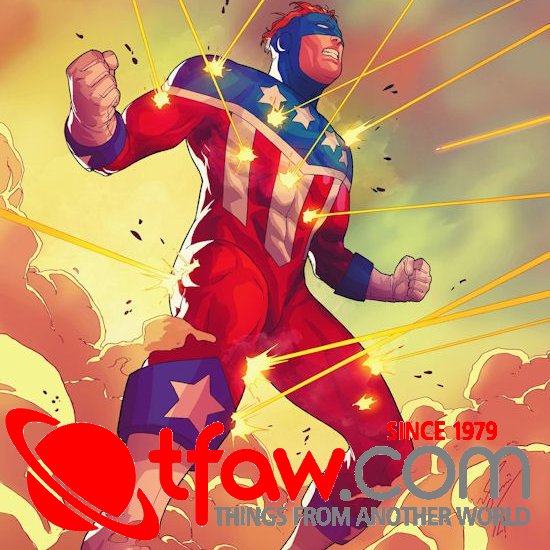 ​Several years ago, along with Mort Todd, Roger McKenzie, and Mark Knox, we launched Charlton Neo Comics (http://morttodd.com/), a modern revival of the Silver Age spirit of the original Charlton Comics, the third-rate but always loveable Little Comic Book Company That Could in Derby, Connecticut, which published its last comic books in 1985. 1st: How did you get Archie’s permission to publish the comic? ​I’ve been writing for Archie Comics for the last decade, everything from regular teen Archie stories to the Life With Archie series that ended in the 2014 “Death of Archie” storyline to a couple of current online series, The Golden Pelican and Rogue State. 1st: Archie paid for the story and art originally, why were they willing to give that up? 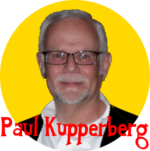 ​Paul: They paid for it a long time ago, but they also wrote it off as a business loss as unused inventory a long time ago too. Anyway, the story and the art are thirty-plus years old and are probably too dated for Archie to publish in today’s market. 1st: Every year there are comics that get canceled, what makes this one so special that it needs to finally see the light of day? ​Paul: I don’t think most of the comics that are canceled need to finally see print, but they can be interesting artifacts to unearth and read many years later, for a variety of reasons. As I said, I’ve had a lot of stories I’ve written remain unpublished. Something like a six-pager for one of the 1980s anthology titles can stay buried and not be missed, but I also have scripts and art for what was planned to be the new directions for Supergirl and Superboy before they were rendered null by the events of Crisis on Infinite Earths, stories that might be of interest to fans of those titles, not to mention for the pencil art of Carmine Infantino and Eduardo Barreto. In the case of the Cat Girl story, the fact that this is previously unpublished art by Silver Age great Pat Boyette is reason enough to finally get this story into print. Pat spent most of his comic book career at Charlton Comics, which was a haven for talented artists with quirky styles, and made his mark on me as a fan in the 60s and 70s with his work on Peacemaker—a character he created which I would later get to write, years later when the Charlton heroes were acquired by DC Comics—as well as on the Phantom, not to mention his “Children of Doom” and Spookman! ​Anyway, readers and fans are curious about these lost stories. 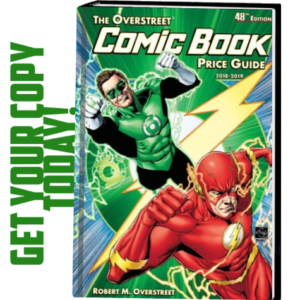 Back Issue magazine runs a regular column about lost and unpublished stories, “The Greatest Stories Never Told,” to which I’ve contributed several installments, and DC is even taking advantage of that interest to include unpublished stories in their Omnibus editions. The upcoming Doom Patrol: The Bronze Age Omnibus featuring the entirety of my DP stories from the time is scheduled to include an unpublished fill-in story I wrote that was penciled by Rick Stasi, and fan disappointment over the cancellation of a reprint of the 1970s Joker series seemed to have almost as much to do with the included unpublished The Joker #10 by Martin Pasko and Irv Novick than it did the loss of the book itself. 1st: Why publish this comic as Lost Jungle Tales #1 instead of Blue Ribbon Comics #15? 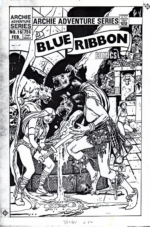 ​Paul: Technically, because of the rest of the contents, it’s not the next issue of Blue Ribbon Comics. 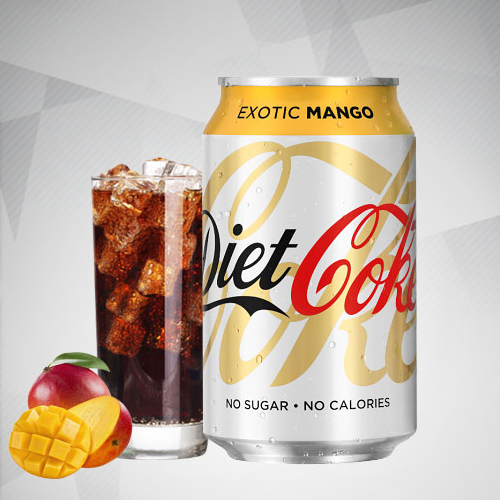 Besides, Lost Jungle Tales describes the contents better. 1st: Is Cat Girl the only story in Lost Jungle Tales #1? ​Paul: Nope! 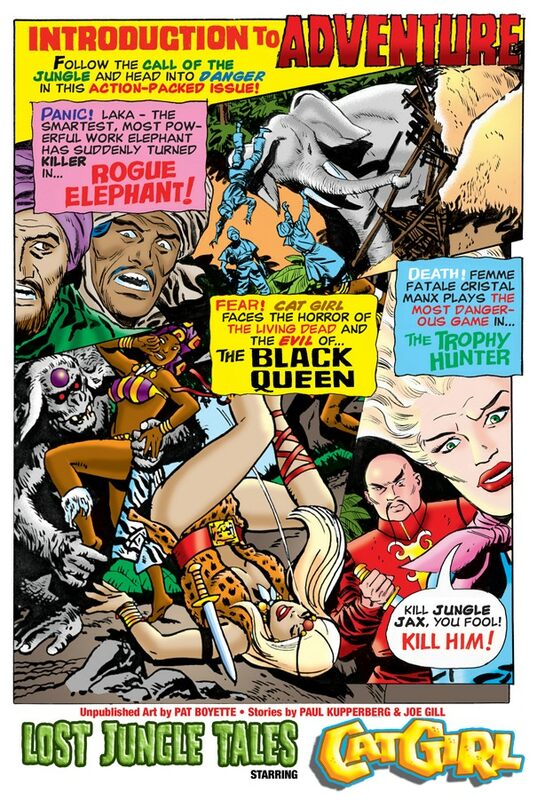 Lost Jungle Tales also features two more previously unpublished jungle tales drawn by Pat Boyette, written by Joe Gill and originally created for Charlton Comics. “The Trophy Hunter” and “Rogue Elephant” are a pair of seven-pagers that began life as stories for Charlton’s Jungle Jim, but which we’ve modified to the non-actionable “Jungle Jax.” Mort Todd’s also contributed text pieces about Pat Boyette’s amazing life as a writer, artist, broadcaster, and filmmaker. 1st: What type of rewards do you have planned for the Kickstarter? ​Paul: First of all, I want to remind everybody that Lost Jungle Tales isn’t going it alone in this Kickstarter campaign! 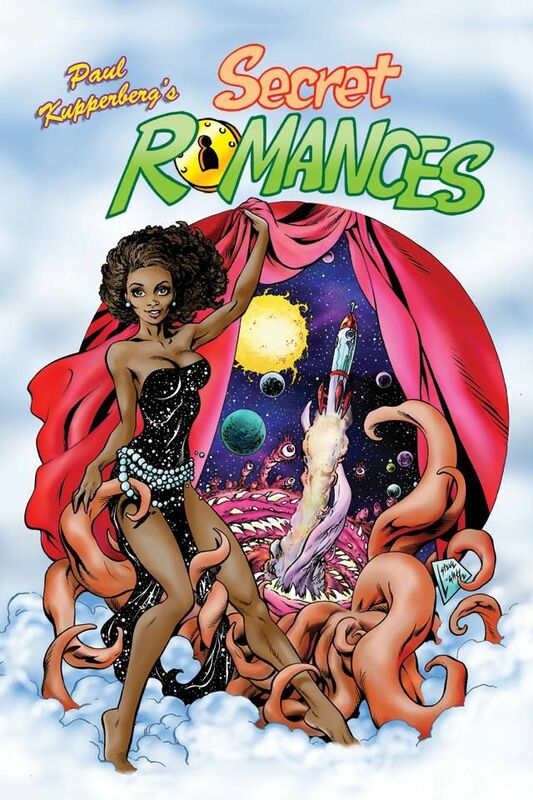 We’ve doubled it up with Paul Kupperberg’s Secret Romances Collected Edition, a compilation of the two-issue miniseries with a new cover by Steve Lightle, my one-time Doom Patrol collaborator, and a new six-page story inspired by that cover illustrated by Andrew Mitchell. ​I like to think that these great comics are reward enough, but we’re offering everything from digital copies of the comics themselves and of the original Cat Girl script, as well as hard copies, signed and unsigned prints of the covers, t-shirts, and original art from Secret Romances. 1st: How much does it cost to get a digital copy of Lost Jungle Tales #1? ​Paul: A digital copy of Lost Jungle Tales, along with a digital copy of the script, can be had for a $7 pledge. For $10, you’ll get the digital copy of Secret Romances and Lost Jungle Tales, along with a few other digital goodies, including the Cat Girl script. 1st: How much does it cost to get a print copy of Lost Jungle Tales #1? ​Paul: The print copy of the 40-page Lost Jungle Tales starts at $12, while the print edition of the 80-page giant Secret Romances begins with a $20 pledge. You can get print copies of both by going with the $30 reward level, or $35 to get them both signed by me. 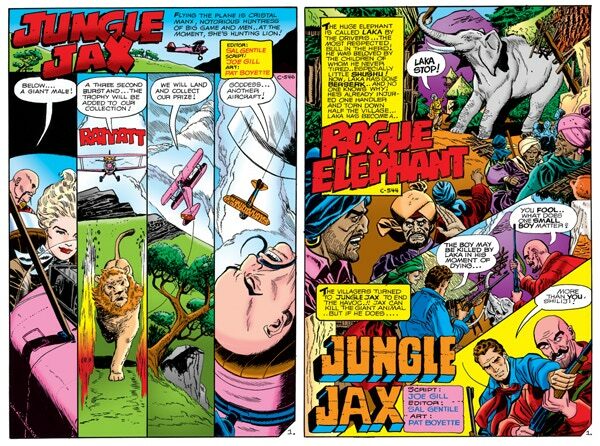 1st: For anyone still on the fence, what makes Lost Jungle Tales so cool no true comic fan should miss it? Paul: I can sum up the reason in two words: Pat Boyette.